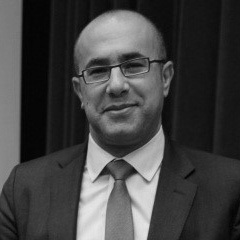 Sameh Wahba, an Egyptian national, is Global Director for Urban and Territorial Development, Disaster Risk Management and Resilience at the World Bank Group’s Social, Rural, Urban and Resilience Global Practice, based in Washington D.C, where he oversees the formulation of Bank strategy and the design and delivery of all Bank lending, technical assistance, policy advisory activities and partnerships at the global level. Prior to this, he was Practice Manager for the Urban and Disaster Risk Management unit in Africa and the Global Urban and Resilience Unit, and he served as Acting Director of Operations and Strategy for the Global Practice. He also worked as Sustainable Development Sector Leader for Brazil, based in Brasilia, and worked as urban specialist focused on housing, land, local economic development and municipal management and service delivery in Latin America and the Caribbean and the Middle East and North Africa Regions. Prior to joining the Bank in 2004, he worked at the Institute of Housing and Urban Development Studies in Rotterdam and at the Harvard Center for Urban Development Studies. He holds a Ph.D. and Masters in urban planning from Harvard University, and a B.Sc and M.Sc in Architectural Engineering from Cairo University. He speaks Arabic, French, English, and Portuguese. Most recently, he co-authored the Bank’s flagship publication on “Regenerating Urban Land: A Practitioner’s Guide to Leveraging Private Investment.